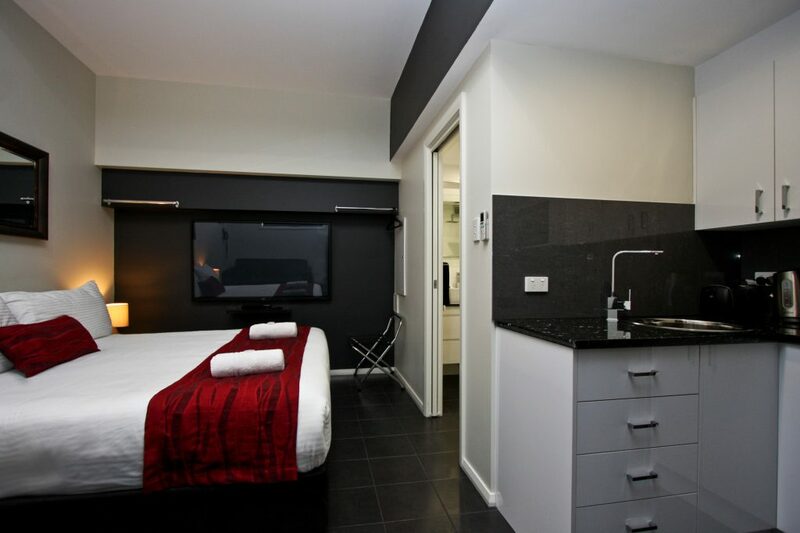 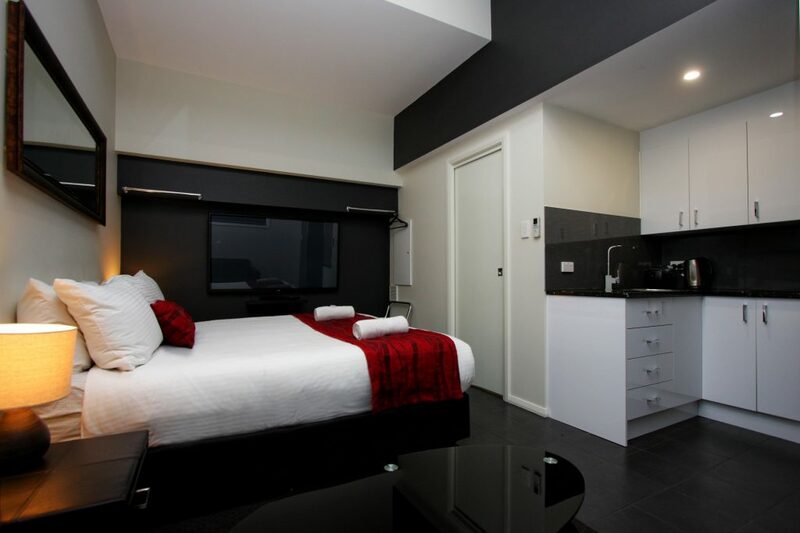 Our large studio apartments are able to accommodate two people on a king size bed which can be split into two single beds. 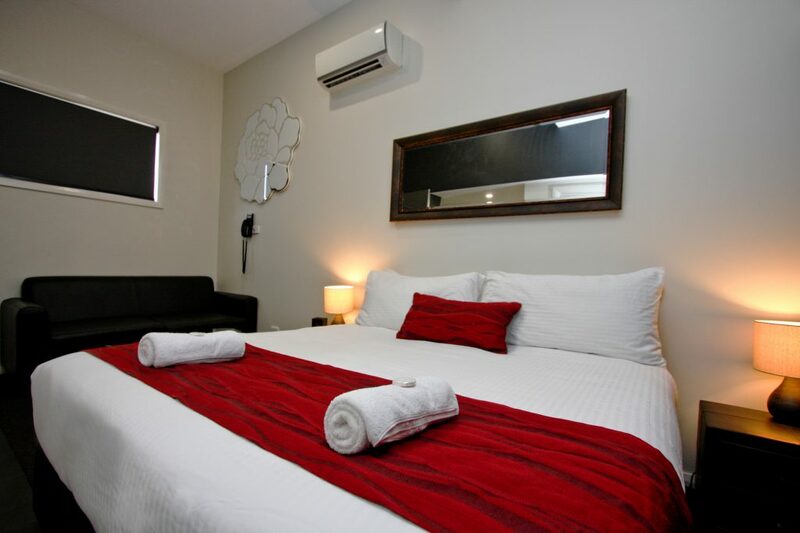 An additional guest or children are able to sleep comfortably on the sofa bed. 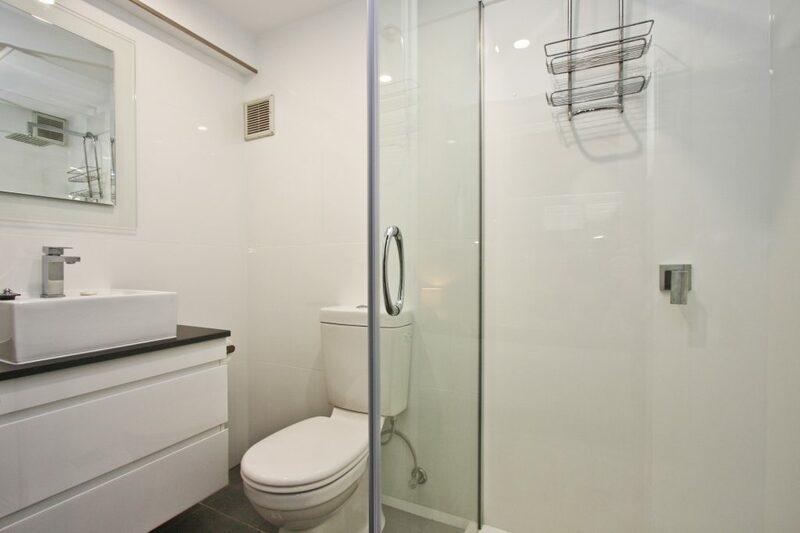 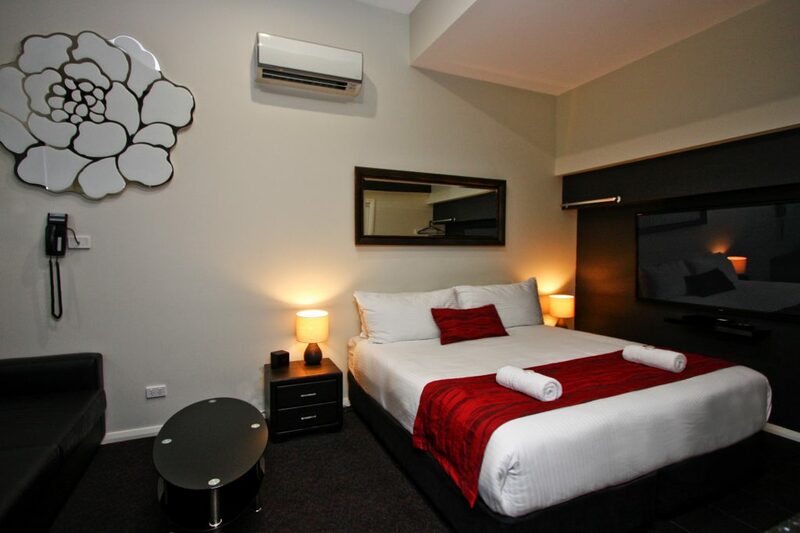 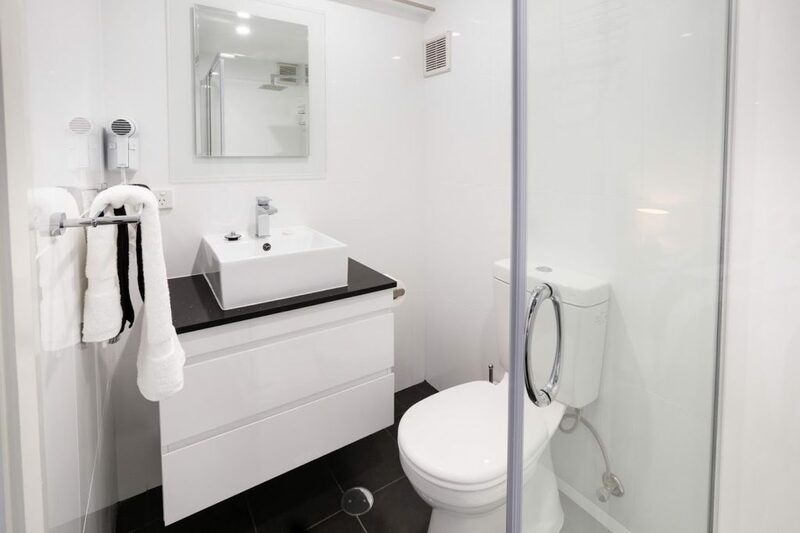 The large studio apartments are ideal for a longer stay with a fully equipped kitchen, hot plates, small refrigerator, microwave, tea and coffee making facilities, split system air conditioning, a large television and Foxtel for your enjoyment.